Courtesy of BHG Base Camp. Nestled at the center of a cul-de-sac in highly sought after Cool Spring Forest neighborhood in Atlee, your new home awaits. This exceptionally maintained 3512 sqft home features 5 bedrooms, 3.5 baths, 2 car garage and a scenic 3-seasons florida porch. Timeless hardwood floors welcome you throughout the main floor. Enjoy gatherings in the formal dining room which features crown and picture frame molding and a beautiful butler’s pantry. French doors in the foyer lead into a flex room which could serve great as an office or sitting room. The spacious family room opens to the bright kitchen boasting tiered cabinets and a lovely sunroom/breakfast room. The luxury master suite includes 2 walk-in closets with a bonus office, nursery, or exercise room. The master bath includes his/her vanities, soaking tub, and shower. The third level bedroom with its walk-in closet and full bath could also become your game/rec room. The landscaping is low maintenance with designer rock mulch beds, full yard irrigation and aggregate driveway that wraps around the back into the 3-seasons Florida room with porcelain tile. Welcome to your new home! 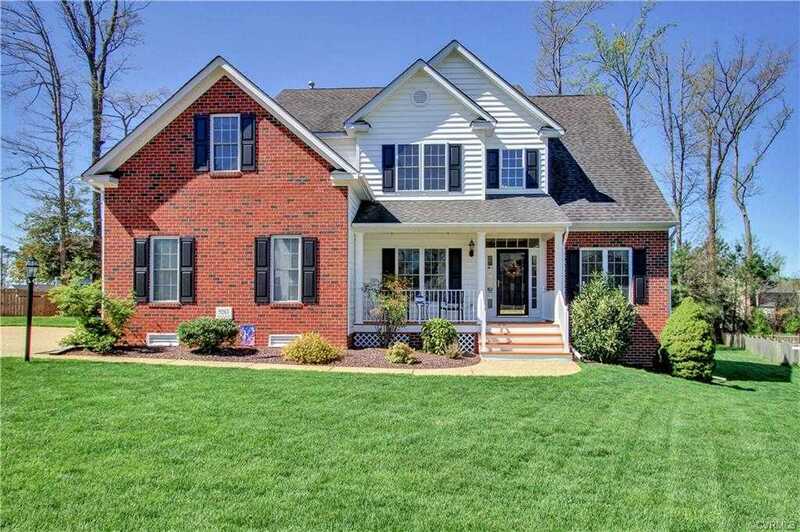 Please, send me more information on this property: MLS# 1911116 – $449,999 – 9263 Braden Place, Mechanicsville, VA 23116. I would like to schedule a showing appointment for this property: MLS# 1911116 – $449,999 – 9263 Braden Place, Mechanicsville, VA 23116.